The LED-Matrix-Kit contains the shown components including the MAX7219 LED-display driver and the LED matrix that consists of 64 red LEDs. 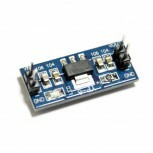 The LED-driver can be accessed via SPI. 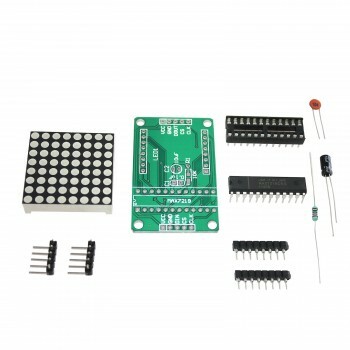 The right libraries for your Arduino project can be found here.